This sole is recommended for the "stroker" who needs the longest slide possible, and is best used for very sticky approaches. 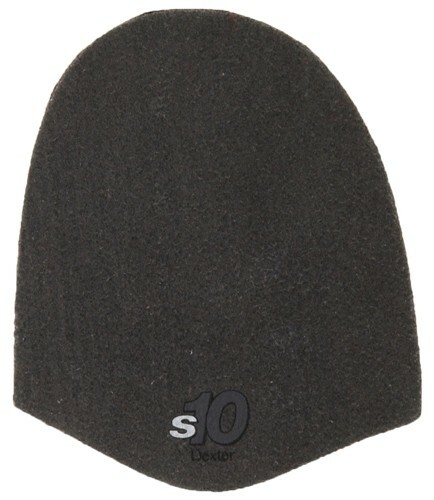 It is compatible with all Dexter SST 5, 6, 7, & 8 shoes, and it made of grey felt material. Have a problem with knees. So I perchused the SST 8 and this slide was one of several that came with shoes. Do not have a slide issue now use the S 10 all the time. If you want a longer slide, or have a tacky approach this product is great. Bowling with Dexter soles is the best you can change as you need. Due to the time it takes to produce the Dexter SST Grey Felt Slide Sole (S10) ball it will ship in immediately. We cannot ship this ball outside the United States.